I think you all know about Google Plus ,A social network by Search Giant "Google". Google plus is a hot topic of the year 2011. It challenged The Social Giant "Facebook". We all know that One day "Facebook" will also die like Orkut. In its starting Trial Google Plus has shown wonderful results. One i was reading an Article on a Magazine that told,"Google Got that in Two Weeks, Which facebook and Twiiter got in Two Years." Yes, It's true, Search Giant "Google" has defeated Facebook and Twitter. Infact Google Plus is its trial Period, think once that what will the results if it'll open for every one. We all are waiting for that day. 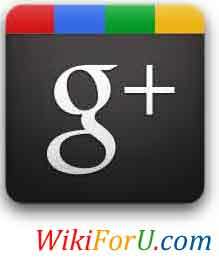 Now am going to give you a new tech news that, Now Google Plus has Reached more than 10 million users. And Now i is said that before closing the invites It Gets 1.5 million users per day. That's Great. I bow my head in front of Google. As Google also defeated Symbian and Apple's iOS by launching it's amazing Mobile and Tablet Operating System- Android. Google - You are really The Giant of Internet. Now we are waiting for Google to Open Google Plus for Everyone. The Above details are of August, 2011.